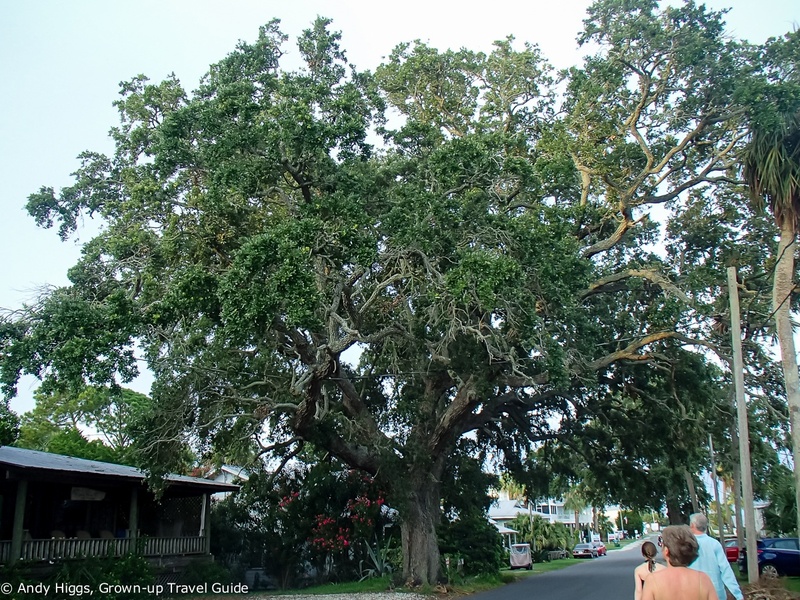 After celebrating the fourth of July in Amelia Island in fine – albeit laid-back – style and a day at the beach to relax even further we were fully recharged and ready for one of the longest stretches of our entire road trip. From the extreme northeastern tip of Florida, just across the water from the border with Georgia, July 6 would see us make the journey across to the west coast and what I fully expected to be one of the highlights of our time in the Sunshine State. Taking the most direct route would have meant an already fairly hefty 170 miles (273 km) or so but I wanted to make a detour on the way which pushed the total journey over 200 miles (321 km). 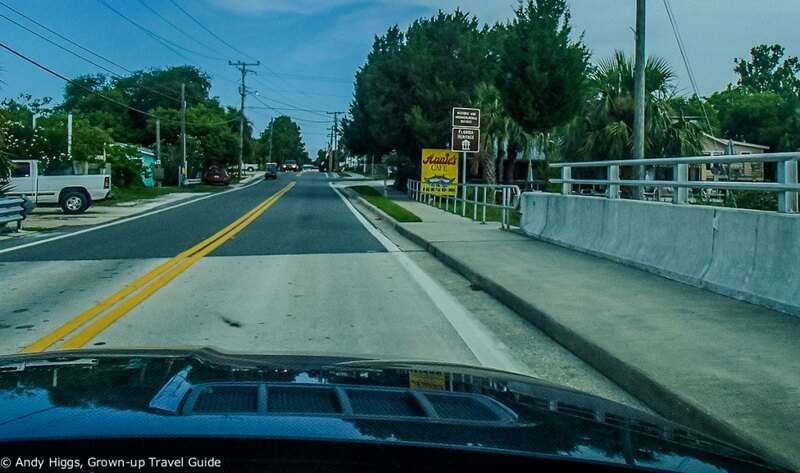 We left Amelia Island fairly early and skirted round Jacksonville and onto the US301 heading almost exactly due southwest for Cedar Key, just as the railroad once did back in the day. It was a fairly unremarkable journey and we encountered few hold-ups. Taking full advantage of both cruise control and the automatic gearbox in the Merc I wasn’t called on to do all that much apart from enjoy the scenery. At the cutely-named Waldo we headed south where I had a little surprise in store. If you stay long enough in Ocala you’ll probably see the man himself as he’s often popping in for dinner in a restaurant or to do a little shopping. That wasn’t part of our plan though and we were soon back on the road to Cedar Key. From Ocala we drove through the Goethe State Forest and a couple of proper Florida thunderstorms, turned onto the FL-24 and after about an hour and a half the road ran out. We had arrived. 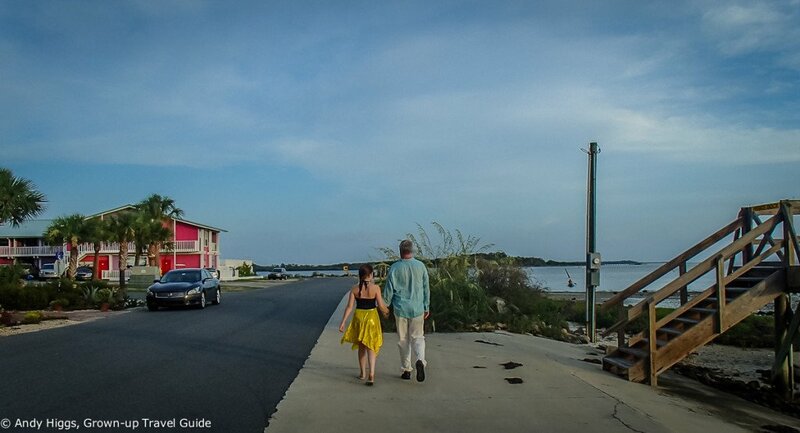 Often referred to as the ultimate ‘Old Florida’ destination, Cedar Key certainly has history. There are families who have lived in the town for five generations and artefacts have been found here proving that Native Americans inhabited these islands for over 5,000 years. 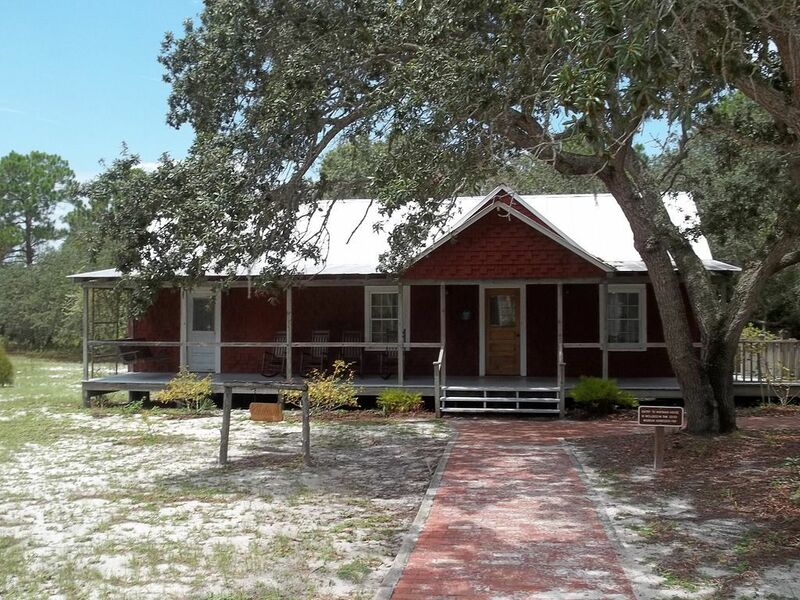 In the 1850’s Cedar Key was an important commercial harbour – it is one of the oldest ports in Florida – and with the opening of the cross-state railroad from Fernandina Beach the town thrived. But the good times didn’t last long as bigger ships needed deeper waters and found them elsewhere. But the cedar trees that gave the town its name were in demand for the production of pencils, and saw mills were established. Yes, I know that isn’t a cedar tree. It’s pretty, though, ain’t it? Pencils were never made here but the cedar slats were transported by rail to factories in the north and also to Europe. Naturally supply could not keep up with demand and soon the trees had been cleared. 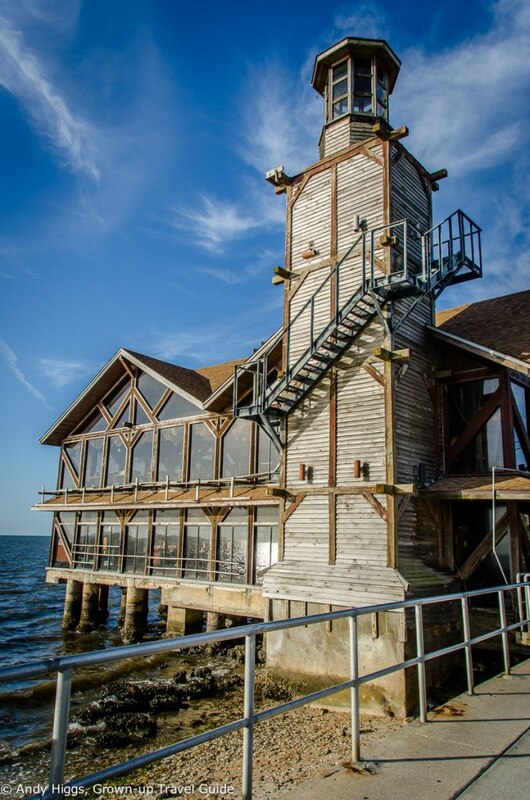 A catastrophic hurricane in 1896 severely damaged both factories and was the final straw – Cedar Key’s population plummeted and the majority of those who remained scraped a living from fishing. The last train left town in 1932. Things are looking up today, though. 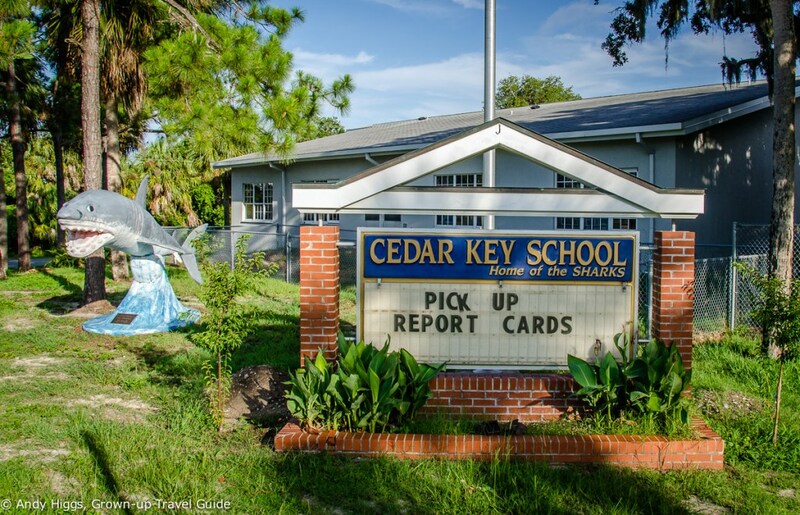 A popular haven for artists and writers, Cedar Key also attracts visitors looking for peace and quiet and to enjoy the natural environment. As well as the laid-back island vibe, there are interesting shops and galleries, renowned restaurants serving fresh local seafood and opportunities for fishing, birdwatching and walking. The Cedar Keys National Wildlife Refuge consists of over 54,000 acres, twenty two miles of unspoiled coastline and many islands. Hundreds of species of birds and animals call this area home. Boat trips and guided tours are available from the harbour. 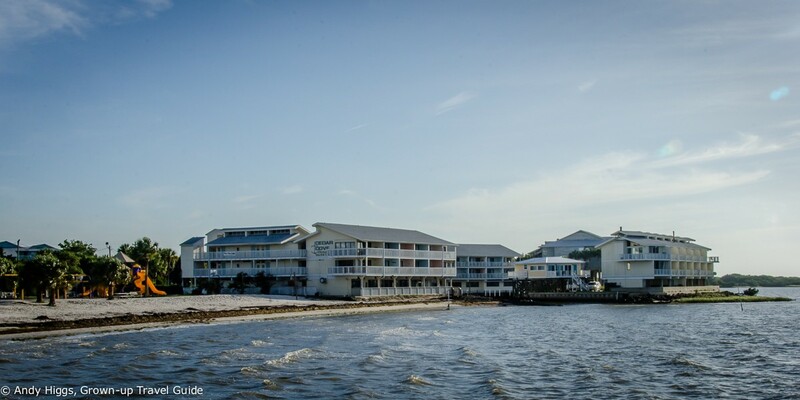 Simple pleasures are on offer here too – given the geography of the town you can watch the sun rise over the bayous and later watch it set over the Gulf of Mexico. 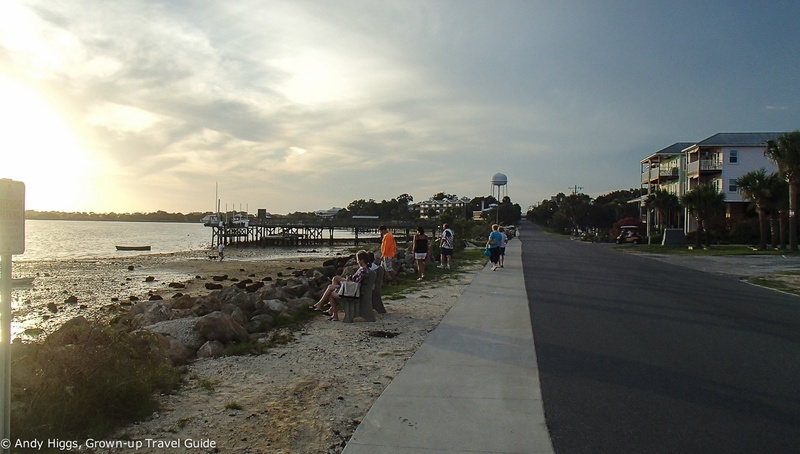 Indeed perhaps the best way to enjoy Cedar Key is to wander and see what you discover – or even better, explore on a bicycle as we did one afternoon. 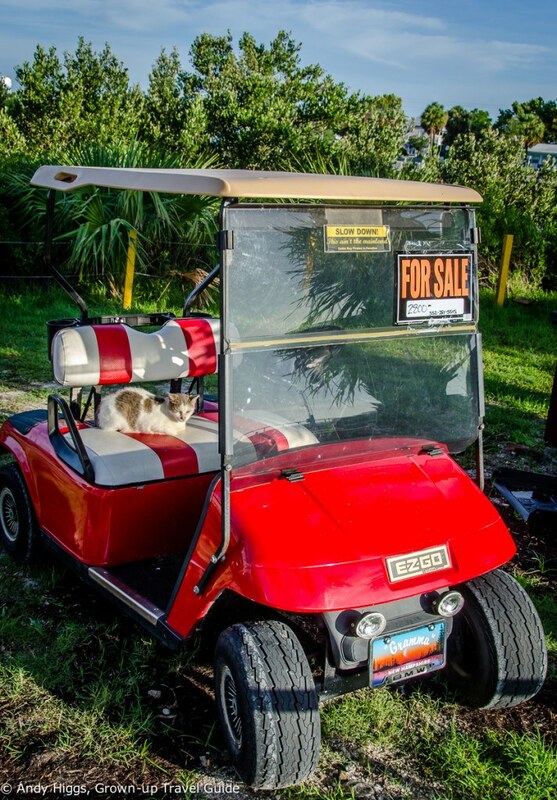 …to an offer you can’t refuse on a well-kept example of the local transport method of choice – cat probably not included. Even the police use customized golf carts – although one suspects they are not the busiest force in the state. 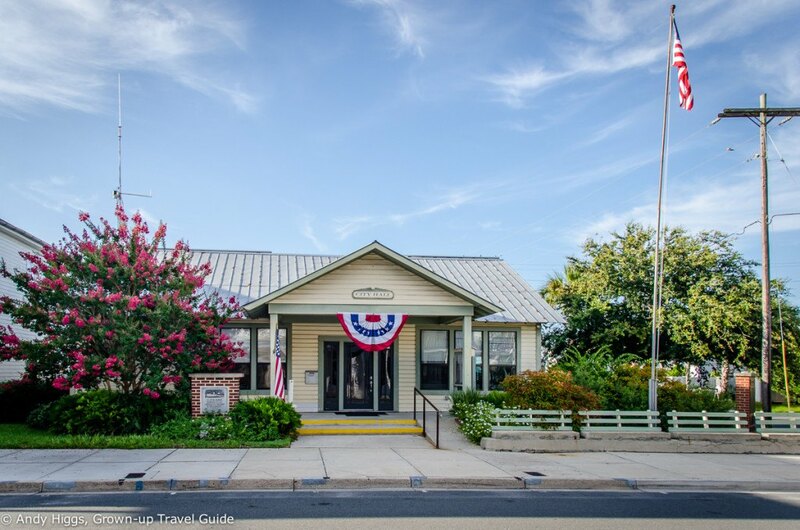 Cedar Key has less than a thousand year-round residents but plenty to see – including a rather sweet “City Hall”. 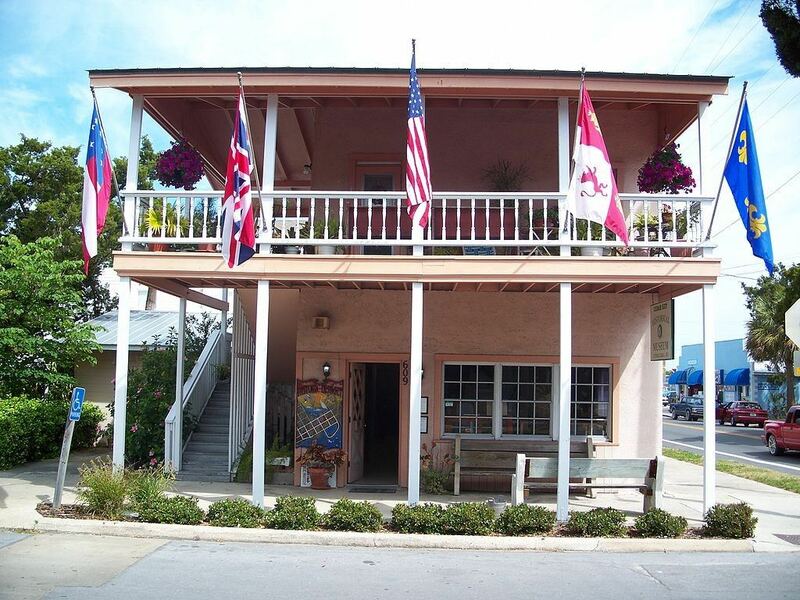 It also has some great places to stay including the wonderful Cedar Key Bed & Breakfast which easily lives us to its excellent reputation. A walk along the waterfront as the sun sets is a nice way to work up an appetite for dinner. But keep an eye on the weather – those Florida storms come in fast, but don’t last long. Long enough to get a proper soaking, though. Known as the heart of the historic district, Second Street is lined with old wooden houses and is an enticing place for a stroll. Many a dilapidated building has been lovingly restored and granted a new lease of life as an art gallery or store. It’s quaint, but in a genuine way – it feels far removed from St Augustine with its throngs of tourists. Cedar Key is popular with those in the know, but is unlikely to ever get swamped with visitors. But due to limited accommodation it can get busy at certain times of the year so I would always recommend booking your stay in advance. One of two museums in this tiny town, the State Museum is mostly about one man and his seashell collection – a certain St Clair Whitman who was an avid collector. He also sought out Native American artefacts and these can be viewed here too. Furthermore the museum houses exhibits about the story of the area since the 1840s and the Rosewood massacre that took place nearby. This horrendous chapter of Florida history occurred in 1923 but only fully came to light in the 1980s. The eponymous town was attacked by whites after a white woman accused a black man of assault. Armed mobs burned the town and a campaign of violence continued for several days leaving many dead. No arrests were made and the town was abandoned. Sadly this was far from the only such incident in Florida in those dark days of segregation. 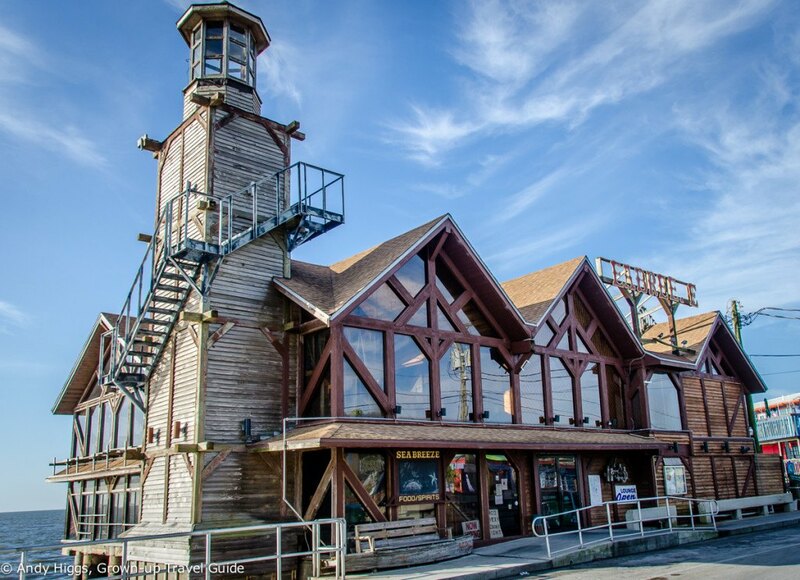 The centre of town is where you’ll find the Historical Museum, which sheds light on the Seminole Wars, the town’s lumber industry, the Civil War and the seafood business and has an entire annex devoted to the fascinating story of the Florida Railroad which once connected Cedar Key with Fernandina Beach. Talking of beaches, the town has a few modest strips of sand if you simply cannot go a day without lying in the sun. This is not really a beach resort, but we did enjoy a dip in the warm waters next to the Cedar Cove hotel. There is a lot of seaweed and reeds to fight through but there are public showers and other essential facilities here too. 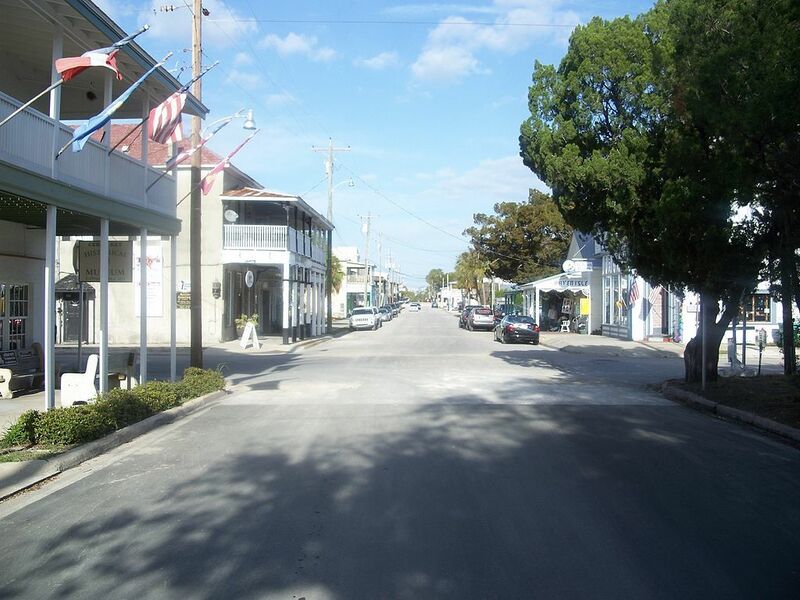 Dock Street is the real heart of Cedar Key – home to its best bars and restaurants, this waterfront area is the kind of place where you can pop in for a cold drink and end up staying all day. Or is that just me? You can enjoy superb views across to the nearby islands with your ice cream and the sound of the waters beneath as you tuck into the catch of the day. 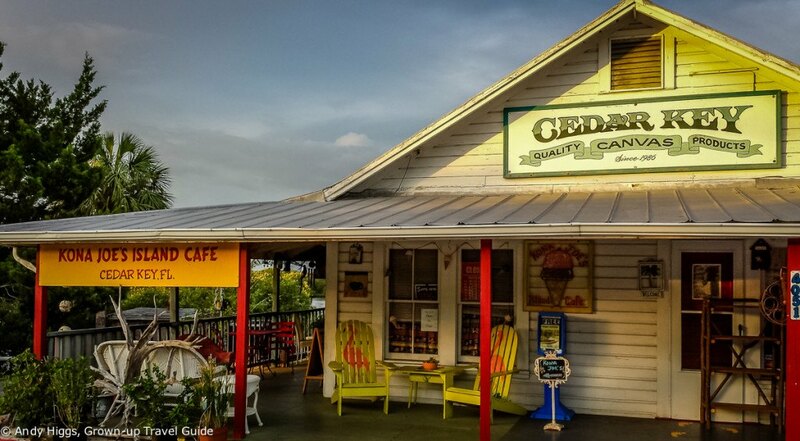 Don’t leave until you’ve tasted the town’s speciality – Cedar Key Sweets. These are the local clams which you can have served in a myriad of different ways. If you haven’t noticed before, while wandering Dock Street you will realise that the pace of life is slower than ‘on the mainland’ – indeed it reminded me of Africa more than America. Even during business hours you’ll often find shops closed with a sign informing customers that the owner has gone fishing. They’re not joking, either. 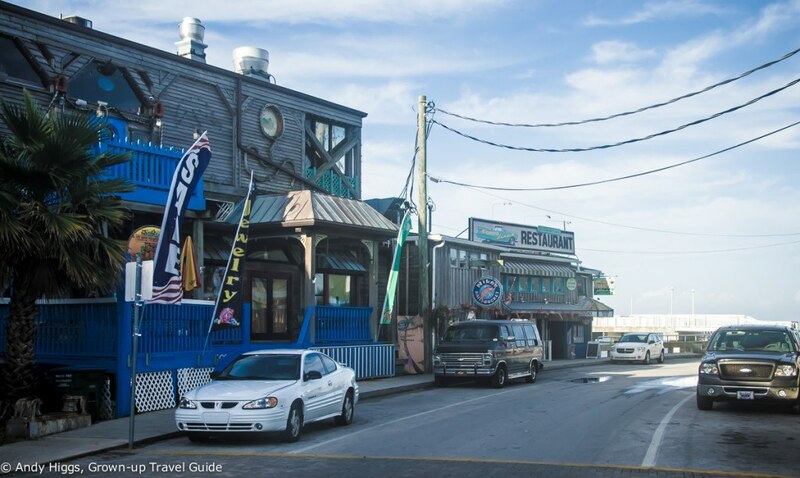 Located in a beautiful building with an enviable location, Sea Breeze offers an excellent seafood menu including that most American of concepts – the ‘all you can eat’. In this case the latter refers to crab, mullet and of course clam and is a fine introduction to Cedar Key’s fishy delights. It would take a will of iron to walk past this place and not go in – although they don’t open until mid-afternoon so plan accordingly. 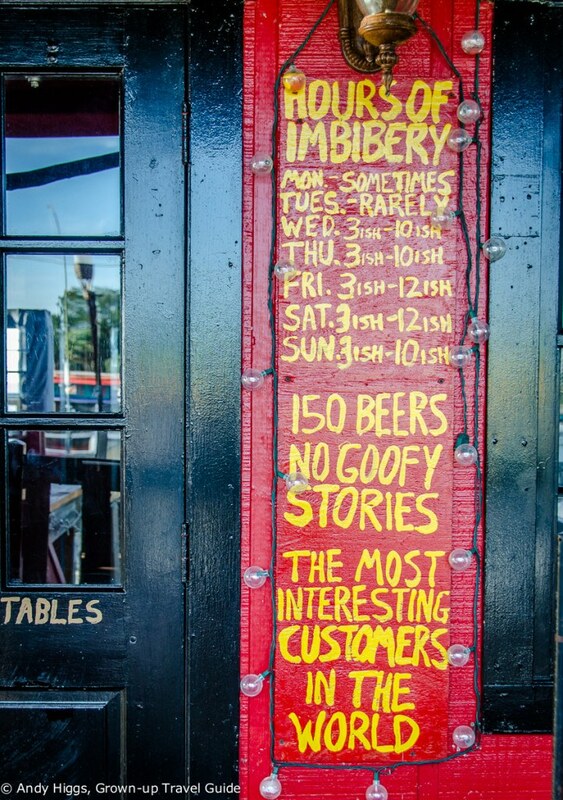 With a massive selection of craft beer – yes, 150 brews – this friendly place can easily be your first and last stop – and there’s no harm in that. They also serve a good selection of wines and have a cigar humidor if that’s your thing. Famed for its coconut cake and iced coffee, Kona Joe’s is an atmospheric diner with a lovely terrace overlooking the water. 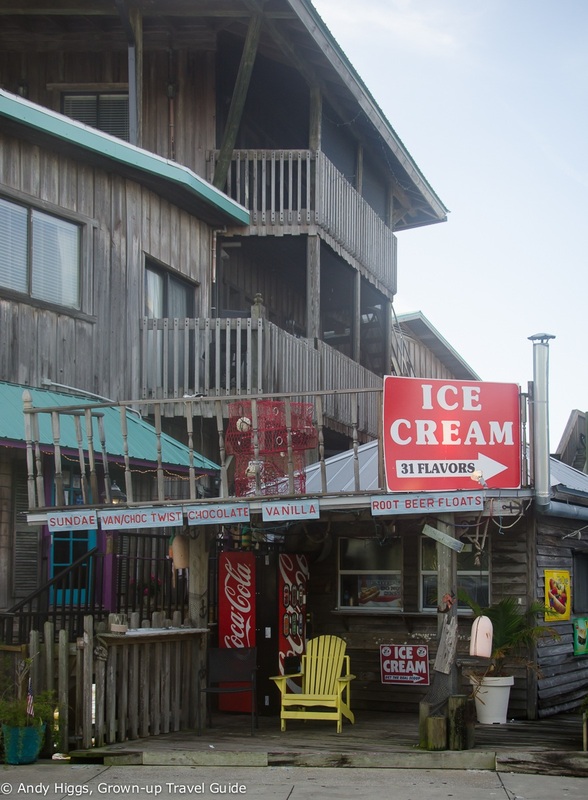 Open for breakfast and lunch, they serve excellent muffins and a mean Cedar Key Lime Pie. 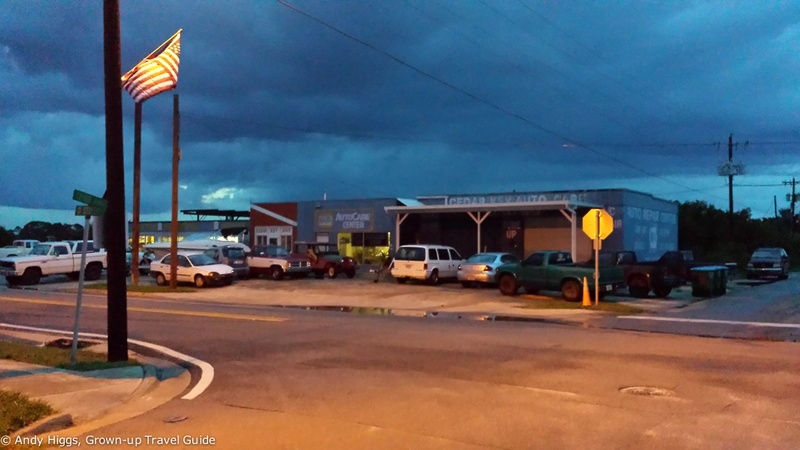 Continue past Kona Joe’s on the route out of town and you’ll reach the Blue Desert Cafe. It’s a small place open for a few hours in the evenings, all dishes are cooked from scratch so have patience – it will be rewarded. It’s a colourful, quirky place and artfully decorated – a memorable experience. The Island Room at the Cedar Cove Resort is a more traditional high-end restaurant but this is just as relaxed as everywhere else in town. Its award-winning kitchen specialised in, well, local seafood but this time served in a continental style. 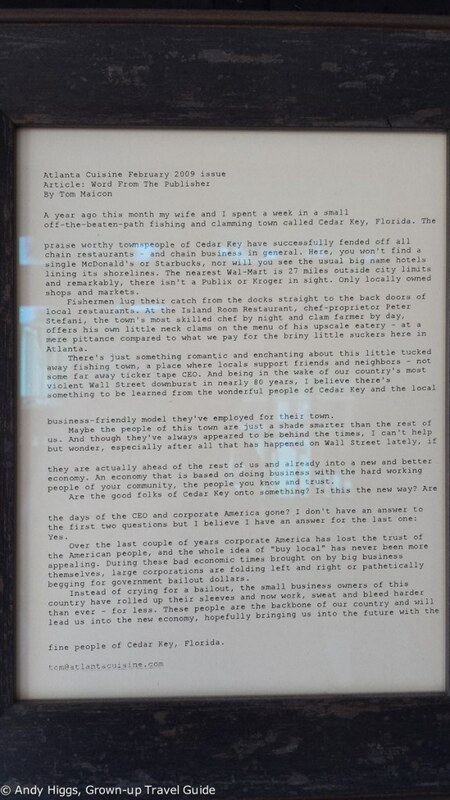 At the bar I noticed this newspaper clip hung on the wall, and can think of no better way to round up this article than by publishing a photo of it here. 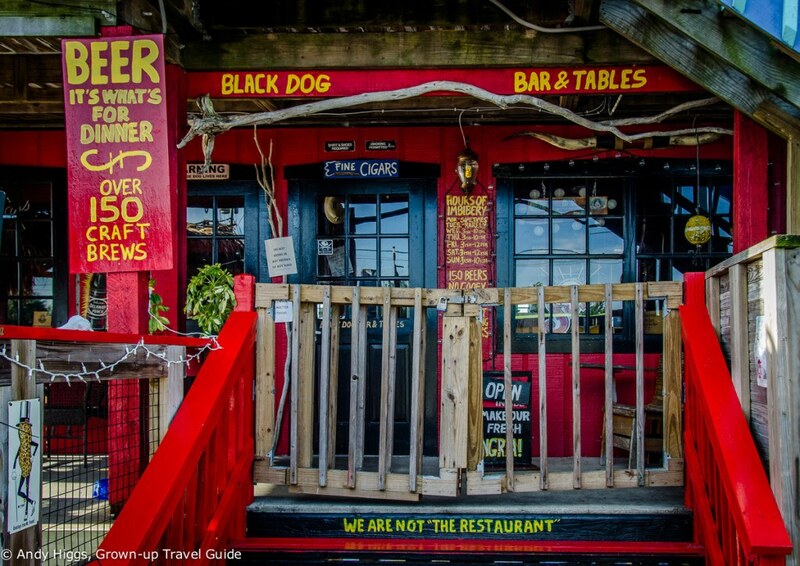 That Black Dog Bar looks… errr.. interesting! I bet you could have a good chat with the locals in there! Sounds like you’re having a great time, Andy… enjoy the rest of the trip. Cedar Key looks like a lovely place to explore, especially by bicycle and I love the look of those cafes – a part of the world I’ve never been to but would love to visit one day.